Since my last update on the 16th May, I have now completed my studies at The University of Aberdeen. I’ll be starting a graduate job on the 1st September, which I’m very much looking forward to. It will be nice to start earning some real money, albeit, I’m not sure I will have enough time to spend it! In terms of radio activities, I have been very inactive the last few months. Apart from the odd QSO on 40m on the LIDS net, I have not been active on HF at all. I’ve also been led to believe that conditions have been poor as of late, so I don’t think I’ve missed much. Late last month, I successfully hit 100 confirmed DXCC on LoTW. I’m currently sitting at 157 worked and 101 confirmed and hope to apply for the mixed DXCC award from the ARRL soon. It’s now going to get much tougher. My target is to work 170 DXCC in total by the end of the year, but if this fails, I will instead concentrate on increasing my confirmed count. 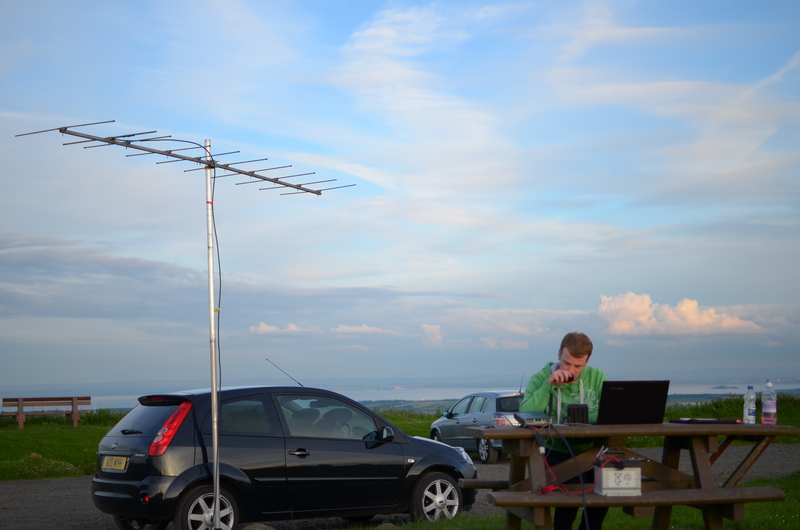 On Tuesday, June 3rd, myself and Colin, MM0OPX, participated in the UKAC 144MHz contest. We were active from the East Lomond Hill car park, which is around 350m ASL and located in Io86JF. This location is actually in the same grid as my QTH and is around a 5 minute drive away, which is ideal. 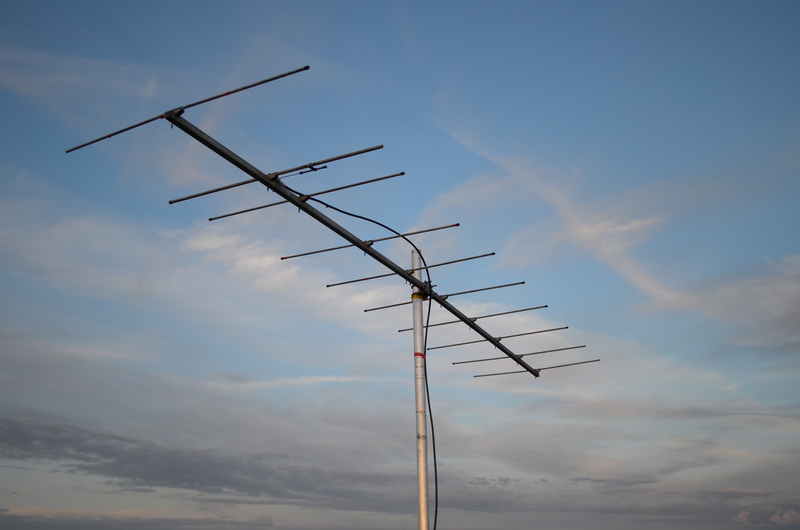 We were using a 9 element Yagi, 4m AGL, which had been donated by Paul, MM0ZBH at the GMDX convention in April (thanks Paul) along with my Yaesu FT-857d, running 50w. The antenna was mounted on 2 sections of aluminium pole, which were supported with a drive on antenna base, which was placed under the rear wheel of my car. A big thanks to John, GM1BSG, for lending us the aluminium poles, drive on base, antenna mounting bracket and some low loss coax. The contest ran from 20:00 to 22:30 local time and in this time, we made 31 QSOs, with an ODX of 558kms to M0BRA, which we were pleased with. Our location has a great take-off; from the North-east through to the South-west, so we are confident this is a good location for future VHF work. Our score was considerably down compared to others in IO86 and surrounding squares, but we learned a lot and we are pleased with our first VHF contest performance, despite only running 50w with the antenna at 4m AGL and with no mast-head pre-amp. We were quite impressed with our performance and we enjoyed the experience, despite no “lift” or sporadic E around! VHF contesting is definitely something I would like to pursue, as well as being more active on VHF generally. 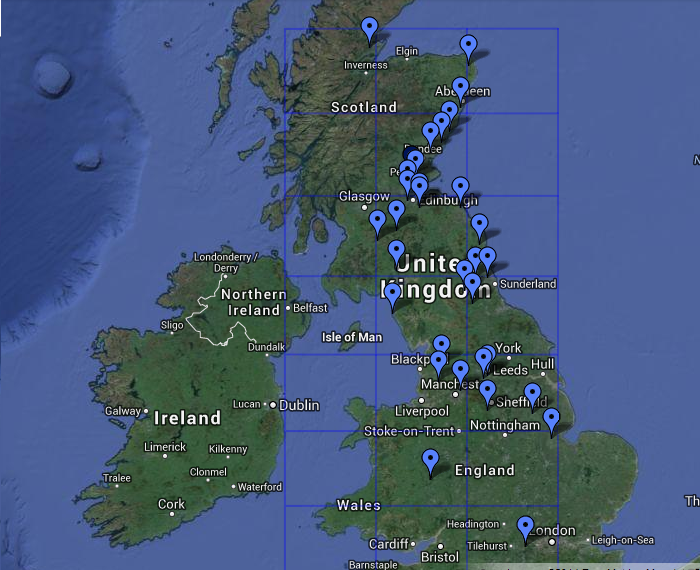 I’m hoping to make an entry in the 50MHz UKAC on the 17th June, but this will depend on whether I can get a beam organised in time. As some of you might be aware, I am currently organising a Special Event station for the 2014 Commonwealth Games in Glasgow. I’m still waiting for Ofcom to confirm that we will be using the callsign GA14CG (Golf Alpha One Four Commonwealth Games). The event will be held at the Stirling and District Amateur Radio Society (GM6NX) from the 21st of July to the 3rd August inclusive. The plan is to have 3 HF stations on the air simultaneously, as well as a VHF station on 50 and 144MHz. 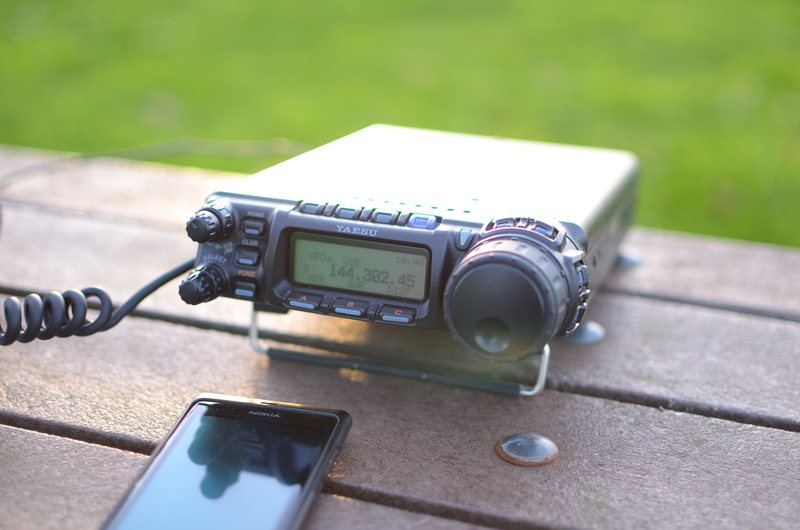 The GA14CG website is still under construction and I am actively advertising the event through local media, GB2RS news and other Amateur Radio related news outlets. All local clubs are being invited to take part, as well as Amateurs from around the UK and beyond. If you would like to take part in the operation of the station, please get in touch. You can find my details under the “Contact Me” tab at the top of this page. All that is needed is for you to show up with a copy of your licence! Over the next month, I’m hoping to become a bit more radio-active! It’s becoming harder to get my DXCC count up, especially when poor conditions are prevalent and when you are limited to 100w and an OCFD, so I may focus on some other goals throughout the summer. This includes getting more active on VHF, as I have already mentioned, as well as trying some construction. I’ll be participating at the YOTA event in Finland in July (more on this soon) as well as joining members of the Stirling & DARS (GM6NX) for International Lighthouse and Lightship Weekend in August, at the Rattray Head lighthouse, in the North-east of Scotland. Finally, I’m also hoping to make a few YouTube videos, under my new dedicated Amateur Radio channel, which you can find here. Videos will include tutorials, demonstrations, some discussions and also some on-air activities. Stay tuned for those when they appear!